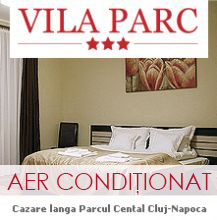 Central Park and University Cluj stadium area represents an attraction for locals and tourists alike. Universitatea Cluj sports club fans can watch the matches of their favorite team on a new stadium built by the County Council of Cluj Napoca, ranked former Ion Moina Stadium. The most important use of the stadium are football matches, but it can also be used for sports competitions and national or international artists' concerts. Benefit of 30.201 seats, most covered. Being built to the highest standards it was declared a UEFA Elite stadium. Central Park is one of the most important recreational facilities for the inhabitants, situated on the shore of Somes Mic. 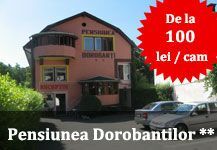 It was founded by the Women's Welfare Association in 1827 in order to provide a recreational area for the citizens of Cluj. Were arranged alleys and the Lake Chios and the music pavilion was built. Also in the park was inaugurated the Summer Theatre, Hungarian State Theatre headquarters today. Currently in the park is a restaurant, the casino building, Statues of Gerorge Cosbuc and Liviu Rebreanu, the building of Painting department from University of Art and Design Ion Andreescu, crossing paths with benches on the sidelines, a lighted basketball court, free fitness equipment, a fountain surrounded by benches, special children's park with swings and the Chios lake on which in summer you can make boating and in winter when it freez is a great place to skate. Access to the park and the stadium may be through a stroll from the center, and the means of transport provided by the transport company. 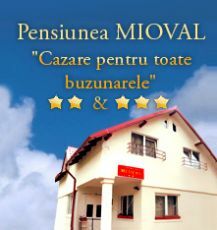 For accommodation in this area can opt for hotels and hostels, being a place away from city noise and offer tranquility and proximity to the center and the most important sights of Cluj Napoca.